One of my favorite stops on the first leg of my A Ranch Bordering the Salty River book tour as at my alma matter, Warren Mott HS Warren Mott High School. It was an honor to be invited there and a joy to speak in front of two classes of current students. 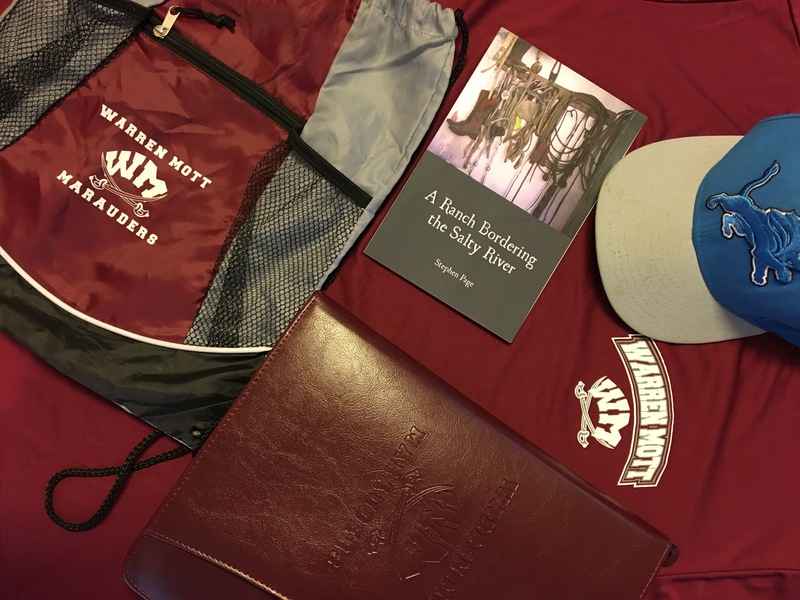 The staff gave me a T-shirt, a book bag, and leather portfolio (#WarrenMottMarauder #warrenMottHighSchoolApparelStore). I use the portfolio almost daily, the T-shirt at least once a week, and the book bag I wore out from using it so much. Thanks Mott staff and students. Thanks James D., Rosaleen I., and Elliot G.
Another outstanding thing I did while visiting Michigan was visit Ford Field and see the Detroit Lions win with an exiting last second play. A big Thank You to my two sisters (one is Mary Page Kraft) and my brother-in-law for taking me there. I also had a great time visiting friends and family members, Ronnie Gennette-Jazowski, Rod A. Page, MaryAnn Page, Mary Keener, Jason Keener, Megan Mary Kraft, Alan Sowinski, Jesse Zingler, Bonnie Shellnut, Theresa Kaminski Williams, and Janice Kaminski Hitzing, to name a few. Sounds like a great trip! The kids at your alma matter must have been thrilled to hear you speak. It would have been so inspiring for all the budding authors there.